The space invaders game that paved the way for the modern day video games! 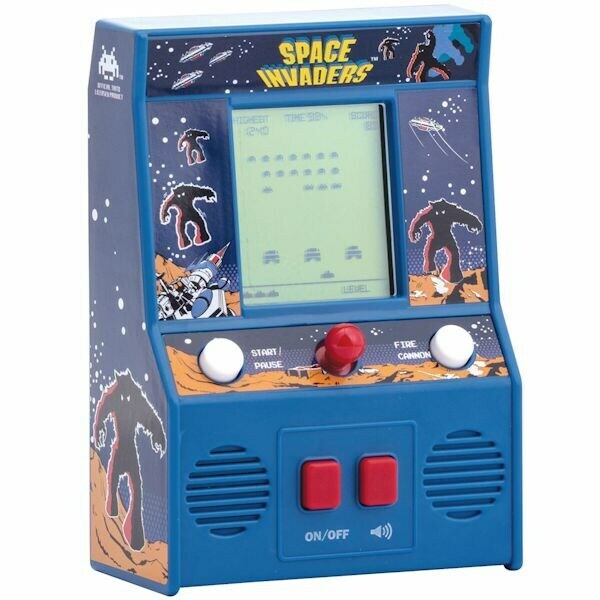 Miniature arcade game feature all the original artwork and the same game play you remember. Requires 2 AA batteries (included). 4" x 5 3/4". Plastic.